Yet you wouldn’t know by looking at me. I have two arms, two legs and my head is screwed on the right way although some would say otherwise. My disability is that I don’t have a tongue so this makes communication difficult not to mention eating and drinking. I’m the Teacher Without A Tongue. This type of disability is largely hidden from the outside world so I don’t get looked at and abused like some people I know. I struggle to get people to treat my disability as a disability because you can’t see it. Until I open my mouth that is. I do sometimes get strange looks if I speak and my words don’t join up properly or if I choke in a restaurant but I can still do loads of stuff. No, my disability is nothing compared to many. But wait, by saying ‘hidden’, this gives my disability a negative edge. Should I be saying non-visible or non-apparent instead? ‘Hidden’ makes it sound like I’m doing this on purpose. Every person has a purpose, uniqueness, and value. I was delighted when Lee Ridley won Britain’s Got Talent last week because he puts a different spin on disability. His positivity was so reassuring and inspirational – a really deserving winner. Identity is important but how do we see Lee Ridley? Do we see him as a comedian? A writer? A disabled guy without a voice? Someone with cerebral palsy? A journalist? Just a ‘normal’ bloke? This is crucial. Lee is who he is and he is unique – just like the rest of us. How Lee chooses to define himself is one thing but how others define him will also shape his life experience. Using his disability for his comedy act works really well for him and he has carved out a unique identity doing this. But others will still define him and label him according to their own prejudices. If he wasn’t using comedy as a release or coping mechanism, as a way to self-promote, earn a living or raise awareness, Lee’s experience is still defined by others and what others think of him including all the stereotypes they’ve managed to accumulate thus far. People with disabilities are not a homogenous group. There are loads of different types of disabilities – each one is actually unique. My experience of having head and neck cancer and losing my tongue will be different to someone else who has had the same thing. It’s not the same. Disabilities influence us in different ways. Some of us cope, some of us don’t and some are in between. But a disability shouldn’t define you. A disability is a part of you. It might be the whole of you but this doesn’t mean it has to be – you are a brother, father, football supporter, chocaholic, music lover etc etc. Young people have this problem. Their disability is being a young person. They might get labelled by teachers, by their friends and ‘by society’ and so they lose their identity or should that be identities. We don’t have a single identity but several. Everyone should have the freedom and right to self-define rather than be told what they are by others. I’m behind them all the way. It’s hard getting things done when you have a disability. It feels like you have to beg for it sometimes. It can also feel like you’re a problem. I’ve had battles asking for ‘reasonable adjustments’ for myself and this isn’t the best mindset to life your life – being a constant warrior can also make you defensive, sometimes angry and often exhausted. I don’t want to be ‘othered’, I’m unique. I don’t want my boss to say, “This will help you feel normal like everyone else” – I want to be unique, like everyone else. We are often told we are all unique but we are never actually treated this way. We are more likely lumped together or pigeon-holed and labelled for convenience. Lee Ridley wears this on his T-shirt and yes, it’s funny and yes he’s right. But as a term disability as a term is a huge part of the problem. It’s a label no one wants and a rubbish one at that because it immediately makes you think in the negative and not in the positive. You hear ‘dis’ and it’s all down hill from there. Rebecca also says that “Disability is a delicate flower around which the public tread with care” but that’s not always true. Some stand on the flower and couldn’t care less. 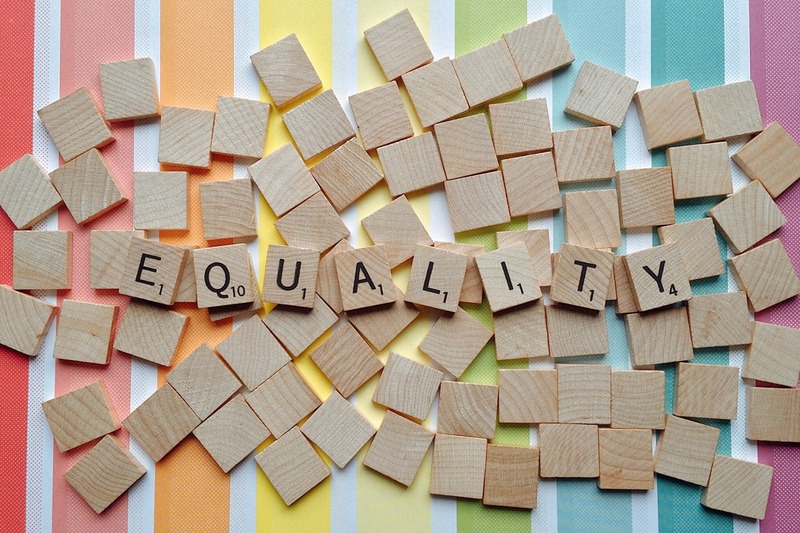 As a teacher with a (dis)ability, my experience of equality and diversity in teaching has been rocky. It ended my career. People make the right noises and you think the Equality Act is on your side but it’s not that simple. It’s hard work getting ‘reasonable adjustments’ and equal participation can be out of reach. We might bend over backwards for student inclusion but for teaching staff the experience can be embarrassing, shambolic and career devastating. Being (dis)Abled is still seen by some as being as a problem to take care of and ‘solve’. Lee Ridley’s BGT success might make us think disability is no longer frowned upon but let us not get too carried away. The reality is that many still display incredible ignorance when it comes to getting their heads around (dis)Ability. Adopting a vocabulary that’s inclusive and respectful of everyone is crucial. ← Proud To Be English?